Trailblazer Handyman Multi-Tool And Carabiner Clip - Stainless Steel Blade, Aluminum Handle, Pliers, Saw, Bottle Opener, Phillips Head - Length 4 1/2” - BOGO | BUDK.com - Knives & Swords At The Lowest Prices! 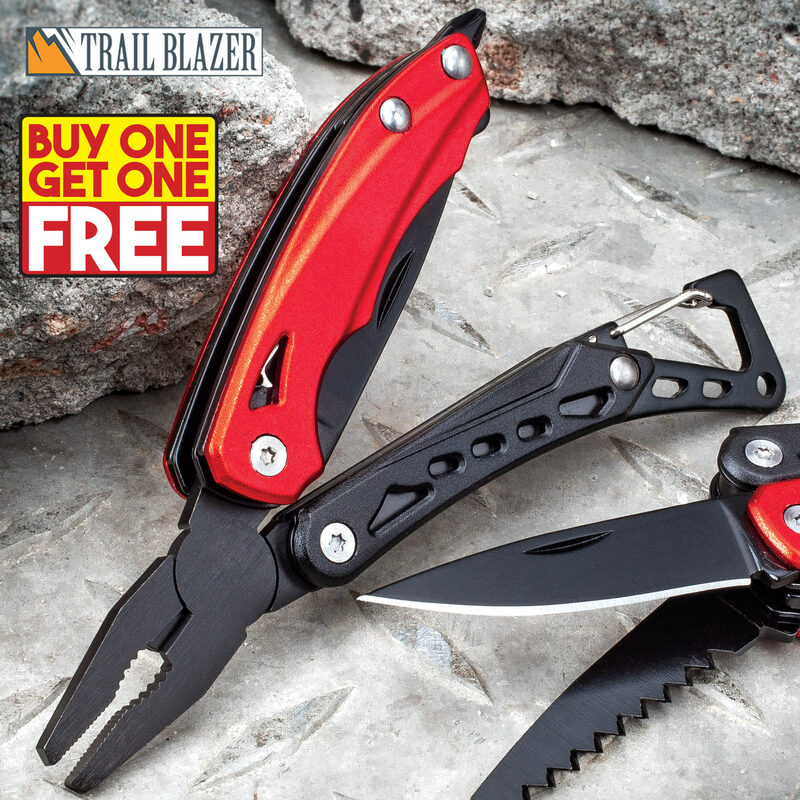 Our Trailblazer Handyman Multi-Tool And Carabiner Clip is the life-saving tool to have around the house for a multiple of tasks! It has a sharp stainless steel blade, a tough saw, an integrated bottle opener and a Phillips head screwdriver. All the handy items you need whether you’re out in the yard or just camping and hiking. The black handle is made of lightweight and durable aluminum and the tool opens into a pair of pliers with an overall length of 4 1/2”. Now, with BOGO, you are getting one for yourself and one for a friend!